Sting.com > News > Sting: 25 Years - Part One - Webisode Premiere! 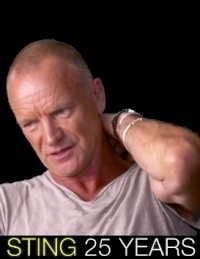 MSN and Sting.com are pleased to bring you this exclusive Sting: 25 Years webisode. In this video, Sting reflects on the beginning of his solo career and discusses the making of The Dream Of The Blue Turtles. This is the first in a series of five clips we'll be premiering as part of the Sting.com '25 Days' countdown. so looking forward to hearing more. I am so fascinated by people's reflections of themselves-very cool. Shea Stadium lives! Glad he started the story with my hallowed venue. Next up: Bring on the Night -- and hopefully something about I Burn For You. Thank you. This was very nice and interesting. 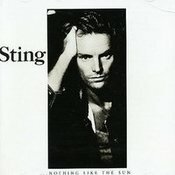 The Dream Of The Blue Turtles is a good example of Sting's album, which you can listen over and over again and never get bored with it. It is just wonderful ensemble of great songs. And of course, among others, If you love somebody set them free is one of my all time favorites. I can't wait to see more of these clips. I love it when Sting sits down and talks about his journey. Looking forward to future segments. Member Exclusive: Answer the following trivia question for the chance to win an autographed copy of Sting's album... Nothing Like The Sun. 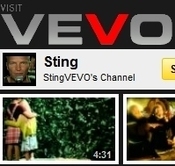 Check out over 20 music videos spanning Sting's solo career using the new VEVO app on Sting's Facebook Page. Be sure to leave a comment and tell us which one is your favorite!